I guess I am showing my ignorance, what places demand payment for book reviews? 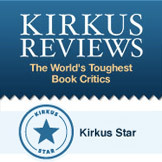 Kirkus, Publishers Weekly, etc., charge for reviews of indie books. The books they review for “free” are from publishers that also buy ads from them, so they are not really done for free. I thought I had a calm, well-reasoned comment, until the profanity emerged. I’m reflecting upon the reasons that I find the Kirkus practices so irritating; it may be because I’m jealous, I suppose. They make money for their reviews, and I don’t. On the other hand, I don’t NEED to make money, having a comfortable (not luxurious!) retirement income. No, I think Brother Curtis has correctly pointed out the reason for my dissatisfaction: I love the genre, and they don’t. So, the fact that I give it away for free, and they charge for it, doesn’t NECESSARILY mean that they are prostitutes who hate their clients. The Big 4 (if memory serves) institutional book reviewers were all supported by subscriptions and advertising. The changes in publishing, the Internet, budget issues at libraries that subscribed, etc., changed that. Kirkus went out of business briefly then was revived, with funding from publisher advertising packages. They only charge directly for indie reviews, but you can be sure that what is reviewed for free is influenced by publisher spend – “pay to play.” Some people do reviews because it’s a hobby for them, others acting as journalists and looking for support (in the form of clicks, advertising, free books, notoriety) in return. So only small hobbyist reviewers are “pure,” and even they have axes to grind. A big publication like the New York Times Book Review is largely ad-supported. But that kind of reviewer is in some sense parasitic — they are providing some of the content of nonfiction, especially, for free to readers who might not have time to read or know about the books covered. The book publishers benefit from the few who read the review then decide to buy the book, a happy tradeoff that benefits everyone. But publisher money (check most of the ads) supports the enterprise, so there is subtle influence that makes it especially unlikely they will review small press and self-pubbed books, and indeed they rarely do.